On occasion I have the opportunity to read and review an Advance Readers Edition of a book. In fact, most of the book reviews that I write are based on galleys that have not been through the final proof. In exchange for posting review on my blog, Amazon.com, Bookbrowse.com or a few other sites, I get to the opportunity to read books I may not have actually purchased. This book was difficult for me to read. 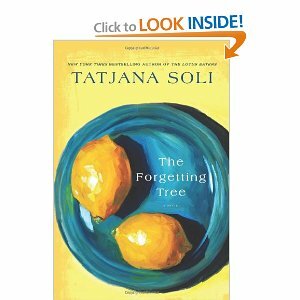 It is the story of a family with an orange orchard in California that essentially falls apart after a grisly murder. I found the story slow going, disjointed and the characters unappealing. While I liked the concept of the novel – damaged people dealing with tragedy, critical illness and loss, a dysfunctional family, and fighting for a lost cause – the actions of the main characters, Claire and Minna, did not ring true. I further could not fathom Forster’s failure to investigate the goings on at the farm when he became concerned about the deterioration. The book has a bit of a gothic feel to it with numerous references to the novelist Jean Rhys and her most famous work “The Wide Sargasso Sea”, which imagined the first wife of Jane Eyre’s Mr. Rochester before she emigrated to England and ended up mad in the attic. Since I love the Brontes and thoroughly enjoyed discovering Jean Rhys, the references did conjure up my feelings associated with those works. But after pushing through the second half of Part Two and Part Three hoping for some reward for my perseverance, I as disappointed in the conclusion.